"The value of a watch is not in being able to tell how much time has passed, but in being aware of the need to make that time count. Moments are bigger than minutes and your watch should tell more than time." As a wife, homemaker & busy Mama of two, how much more true could that be? Life these days is so, so busy (did I say busy yet?) But I don't want time just to pass by without me noticing, I want to seek out the moments that make up the everyday. I want to live those moments and make every one of them -- especially those spent at home with my daughters -- count. Because we all know time is the worst thief, and we can't slow it down no matter how hard we try. So instead of fighting against it, I've made it my goal to make time work for me -- to challenge myself to find those moments within the minutes that make up each day and to live intentionally with the time I have. 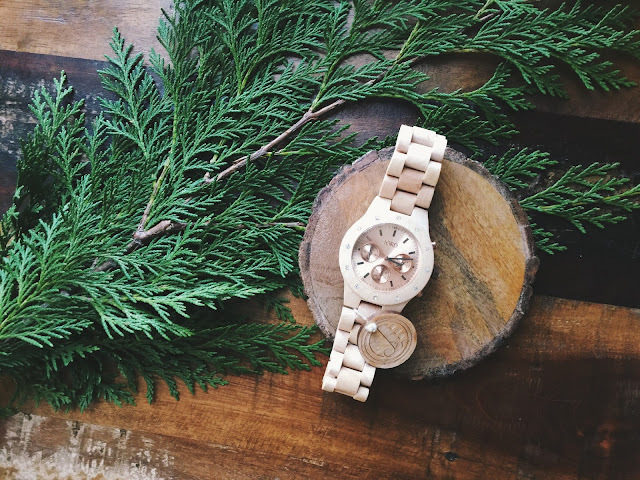 In this week's Best of the Nest series I'm so excited to be showcasing a company that makes beautiful and one-of-a-kind wood watches. Yes, you heard me right: wood watches. 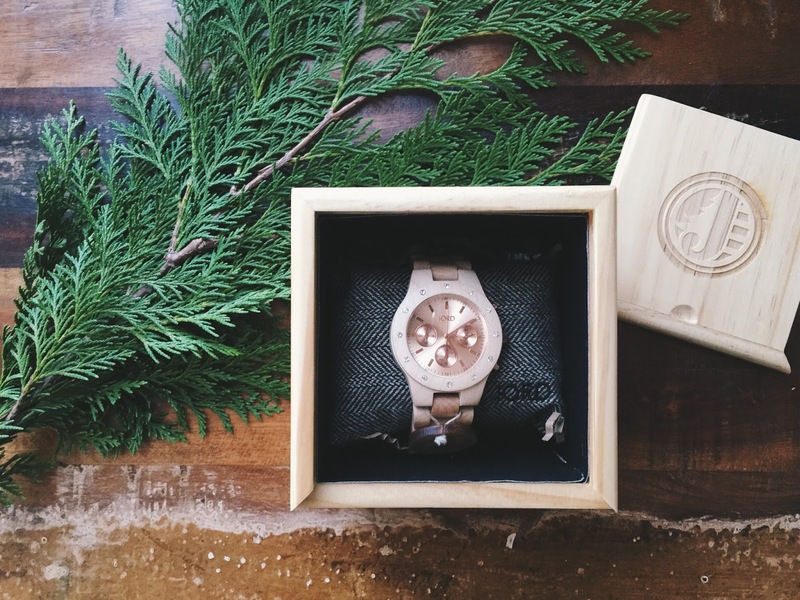 JORD Wood Watches is a company run by artists, designers, marketers & minders. They are focused on creating timepieces that are modeled after a modern lifestyle, so their watches were right up my alley. They value sustainability, efficiency, and experiential living; they make their watches for people who don't just have somewhere to be, they have somewhere to go. How can you not love a company with that kind of a motto? 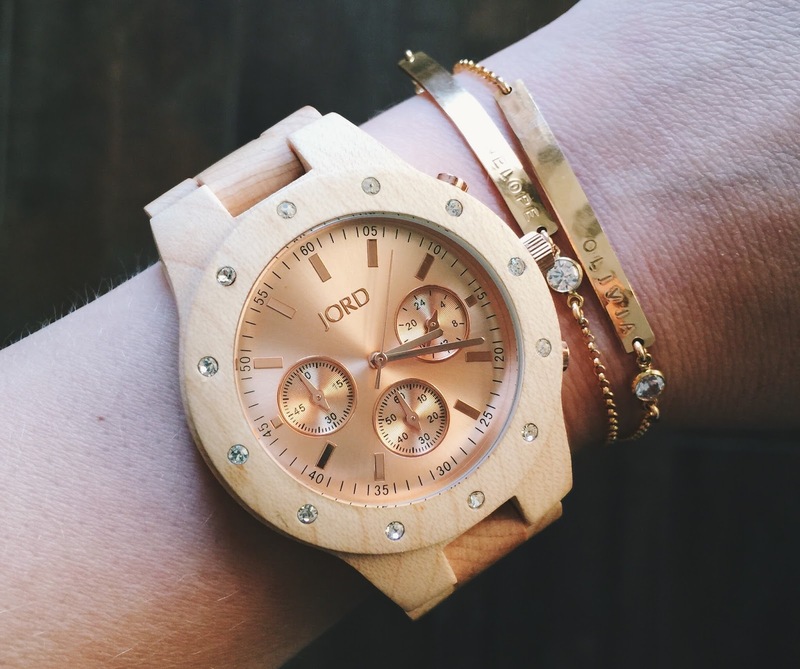 JORD offers a wide variety of both men's and women's watches, including very sleek & classic styles such as the Frankie Series as well as more modern and bold timepieces such as the Cora Series and Sidney Series, featuring finishes of rose gold and crystals and wood combinations of red sandalwood and mother of pearl. 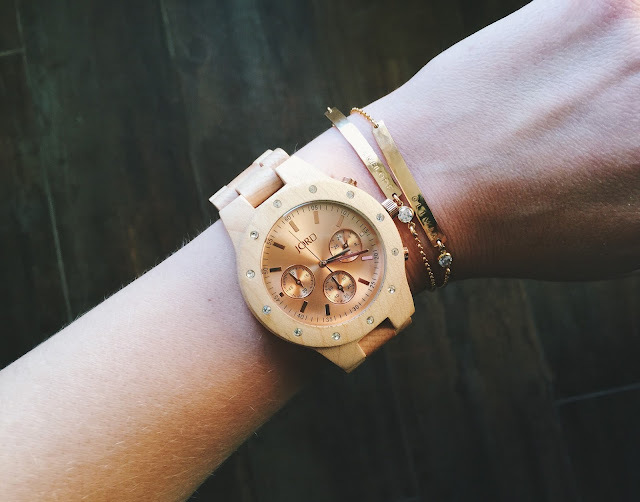 The Sidney Maple & Rose Gold watch immediately caught my eye; the rose gold offers the perfect touch of femininity and the light maple just makes this watch shine. Though I have to be completely honest and say that if I could pull it off, I would most definitely try to rock the Dover series watch. I love the look of the copper face in contrast with the rich, dark ebony wood. That one might be the perfect watch to get for Dustin this Christmas...because I mean if he's not wearing it...I could, right?! What I love most is that every little detail is considered when you purchase a watch from a company like JORD. I'm all about the little things and they are too. They package their watches in wood boxes, of course, that are equally as beautiful as the timepiece they hold. They use the highest quality materials and most vibrant, outstanding woods. The watch itself is incredibly easy to put on. Easy as in I can put it on with one hand on my way out the door with a baby and toddler in tow. And the icing on the cake is that their customer service is off the charts (a serious must in my book, because these days its pretty rare to find). It's nearly impossible to wear a JORD watch in public without somebody noticing. And if I'm not watching closely, I find Olivia slipping it on her tiny wrist and ooohing and ahhhing over it the way I do. Girl after my own heart.